Japan’s Okinawa prefecture is often described as the “Galapagos of the east.” Famous for its rich biodiversity, foreign and Japanese travelers flock to these tropical islands just to visit the home to some of world’s most breath taking flora and fauna. 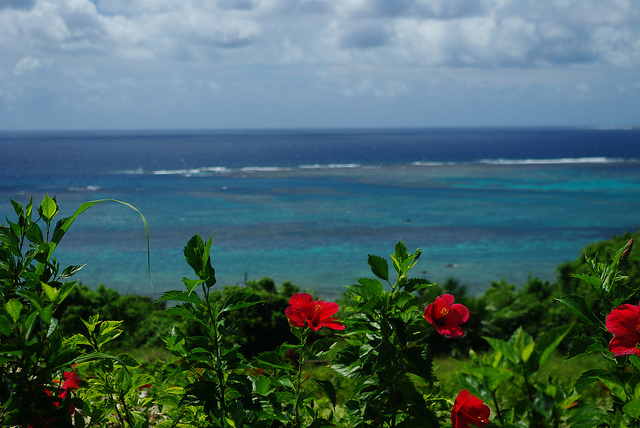 Despite its fame, a very important Okinawan coastal area is facing the possibility of destruction…again. Okinawa has also been home to United States Forces Japan since World War II as part of the Treaty of Mutual Cooperation and Security. Despite this being a long-standing relationship, the two parties do not exactly always coexist harmoniously. About seven years ago, the US proposed that the Marine Corps Air Station Futenma base was to be moved to the less populated Henoko district. Moving to a less populated area was intended to make the base less disruptive to the public but was also to make room for a long runway, that extends out over the sea, required for MV-22 Osprey jets. Construction was proposed at the cost of a two very important coastal area. Land was to fill in part of the coastline destroying both a sea grass bed and the world famous blue coral reef bed. The loss of either of these habitats would be devastating, but would also have detrimental effects to the wildlife that rely on these natural habitats. This is particularly true for the dugong, an aquatic sea mammal with a long life history and a slow reproductive rate, which is already close to extinction. Even though this proposal occurred almost a decade ago, it has never really gone away but has gained and lost momentum over time. Anytime there was any movement forward, residents would protest or referendums would prevent construction. However, with the recent change of government in Japan, this could all change very quickly. The new Prime Minister, Shinzō Abe, is reportedly ready to move forward with construction and plans to submit a proposal to Okinawa officials soon. If this proposal goes through, construction could start as early as next month. This is no different from most, if not all, environmental issues. This issue is so deeply intertwined in historical, social and political context making what is right and what is wrong difficult to distinguish (especially as a Canadian ex-pat) and requires analysis that goes far beyond the scope of this article. However, regardless of agenda and bias, it is important for officials to remember that destruction of these habitats will take a fraction of the time it took for them to be created. Both coral reefs and dugong are already going against all odds when it comes to survival. Not to mention all of the other species whose habitats would be destroyed and later affected by the pollution caused from base operations. Most devastatingly, this area would never be able to recover from the damage done. When the air base is deemed obsolete in years to come, all that will be left are images and stories of what once was.